Lush have a rather extensive range of soaps! Each and every one of them comes in a most spectacular design featuring a wonderful range of colours. One design aspect that I am really enjoying from Lush at the moment is their individual portioned soaps. Rather than a slice being cut from a large block of soap these are smaller hand held size soaps. 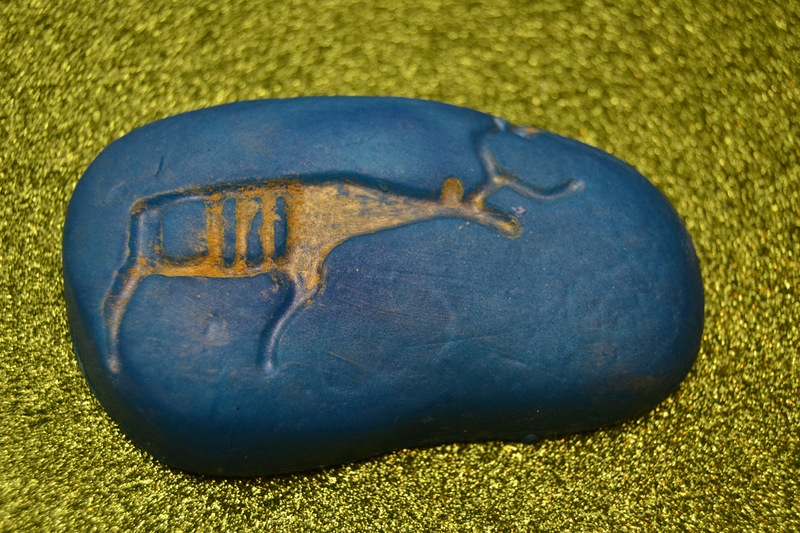 The Reindeer Rock soap has made an appearance before, however this year it has had a very very big make over. The soap has now been redesign so that is a indiudual portion in a pebble shape. 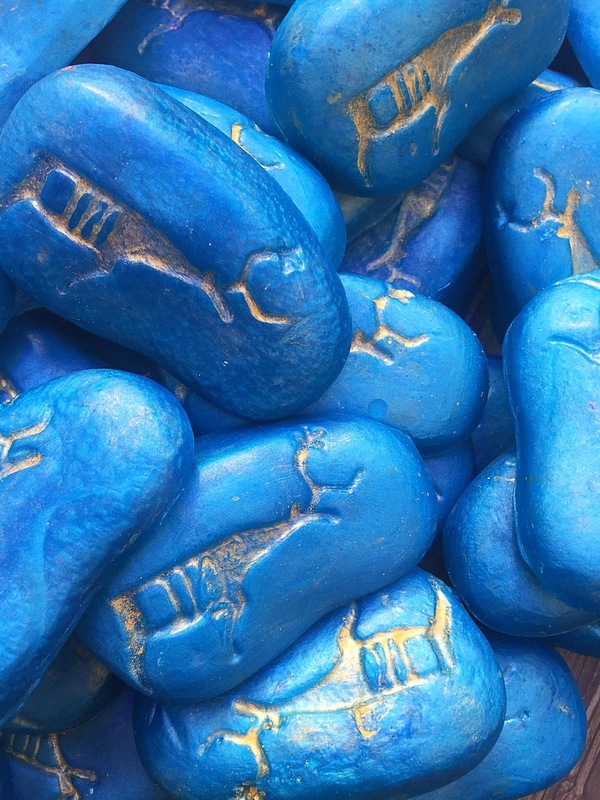 It is a beautiful blue colour and still has the icon raindeer design inspired by cave painting found in Sweden on the front like the original design. The scent of the Reindeer Rock soap has also had a big make over for this year. Containing rose oil, neroli oil and lingonberry infusion the soap has a beautiful rose scent. If you love your floral scents this will defiantly be one for you. I found the new pebble shape made this soap very handy! The shape means it’s fits perfectly in your hand making it much easier to use. I was really impressed to find how much the scent of the scent lingered after use. I however noticed that my bar has got a lot smaller very quickly! Overall this is a very lovely soap with a beautiful design. 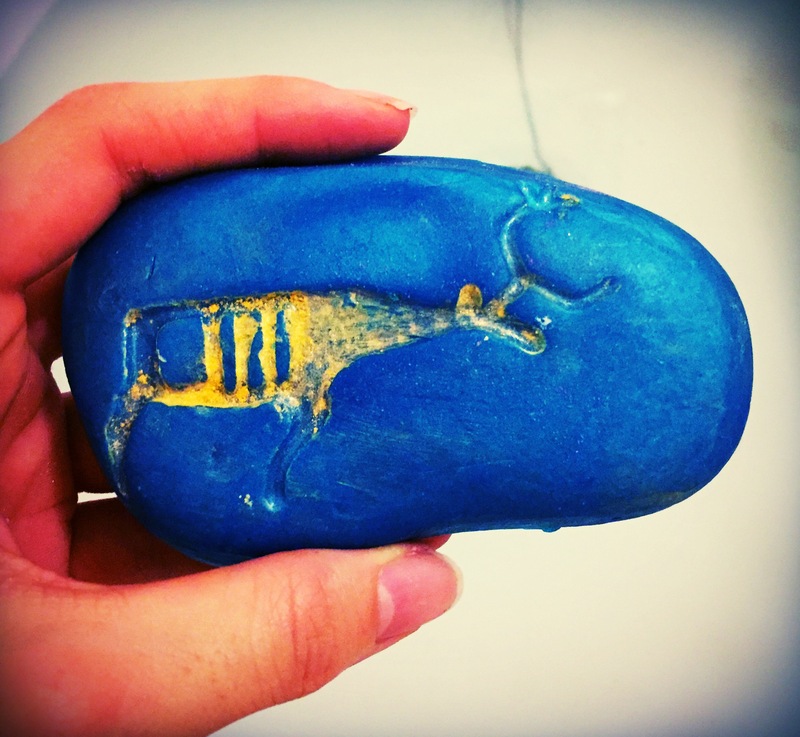 I really think this is a great addition to the Christmas range and am loving the re design of the Reindeer Rock soap.